Yo ho ho ho, a pirate's life for me! 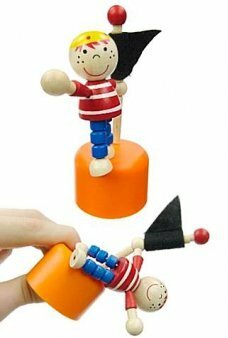 Pirate adventure is always fun with these pirate toys. 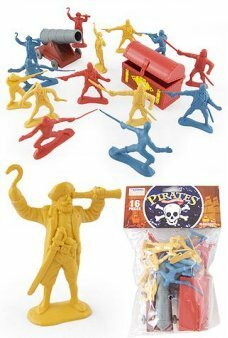 Sail the seas and the Caribbean looking for treasure and fun. 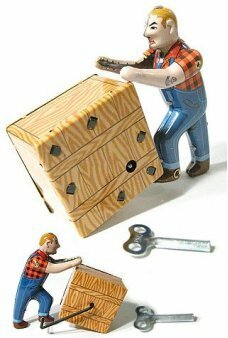 Sam delivers our tin toys everyday by rolling a large crate from the shipyard . Our hard-working man and his rolling cra.. 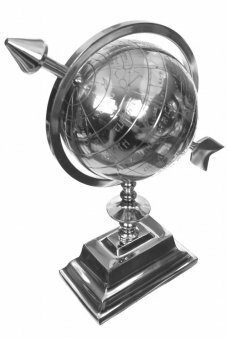 Explore the world with our retro silver globe rotates on a large arrow. 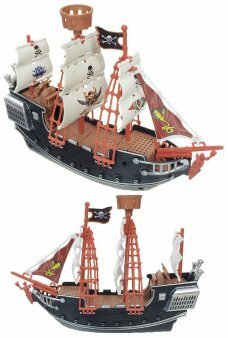 Decorate your desk or home with this beaut..
Ahoy Matey! 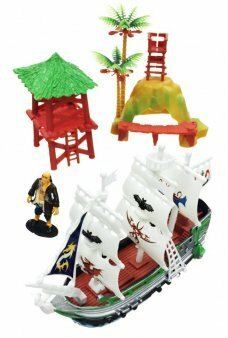 Our Large Pirate Ship appears to move on the waves of the Caribbean on its hidden wheels. 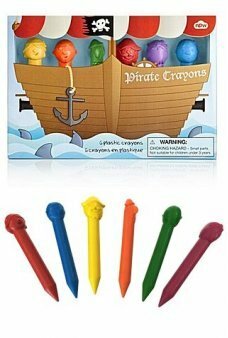 Just p..
Ahoy Matey! 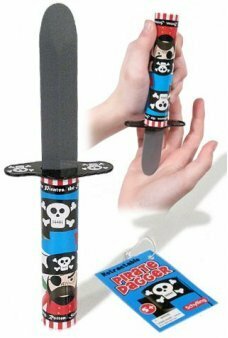 Do you remember the classic Jolly Roger Pirate Dagger toy? 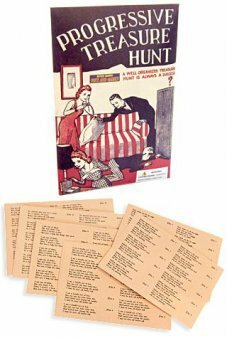 Our Scourge of the Seas Tin Knife features a tric..
Read a riddle and try to find the treasure! 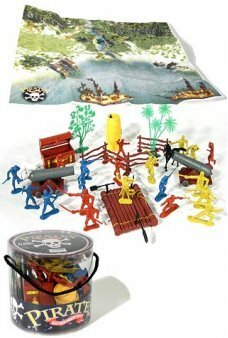 In this retro English game, you hand out 16 clever retro poems that describe..
Reenact the excitement of the Pirates on the Caribbean Sea with our retro Pirates Playset! 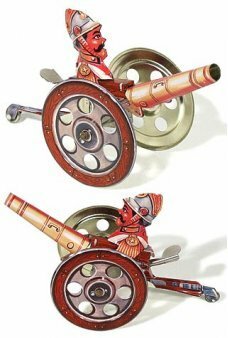 Our classic 16 Piece Pirates ..
Our Pirate Telescope is actually a Kaleidoscope! 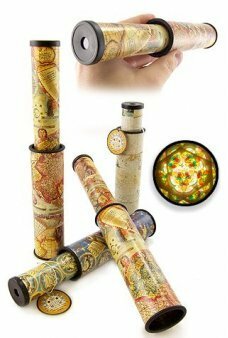 Pull out the adjustable scope and spin the beautiful Treasure Map cylin..